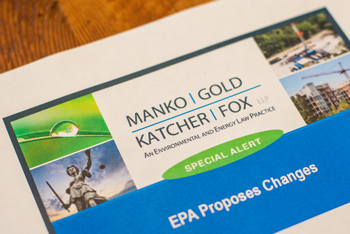 In September 2018, Pennsylvania Governor Tom Wolf signed an executive order forming a Per- and Polyfluoroalkyl Substances (PFAS) Action Team, which will be responsible for developing a comprehensive response to identify and eliminate sources of PFAS contamination. The Action Team will be led by the secretaries of Environmental Protection, Health, Military and Veteran Affairs, Community and Economic Development, Agriculture, and the State Fire Commissioner. Their efforts will specifically address strategies to deliver safe drinking water and minimize risks from firefighting foam and other PFAS sources, manage environmental contamination, create specific site plans, explore funding for remediation efforts, and increase public education. Thus far, the Action Team held an initial public meeting on November 30, 2018, with plans to hold a second public meeting tentatively set for February 12, 2019. At the initial public meeting, PADEP Secretary Patrick McDonnell referenced the Commonwealth’s plans to institute soil and groundwater cleanup standards for PFOS and PFOA compounds in an upcoming rulemaking.